If you can find out the reason for your dog’s digging then you can usually find a solution. To stop the digging try to alleviate the boredom. If you leave your dog alone in the yard for long periods of time provide him with something to do. Leave him with bones to chew or toys to play with. 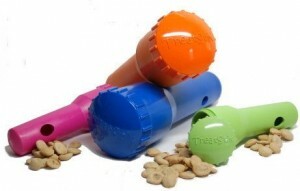 Food dispensing toys are available or you can use hollow bones, which you can fill with a tasty treat. 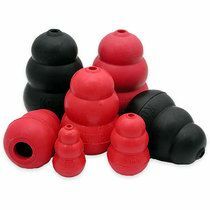 Kong toys, hollow bones and such can be stuffed with a bit of spread cheese, spread meats, cheese cubes, hot dog chunks, semi-soft dog treats, canned dog food, kibble etc. 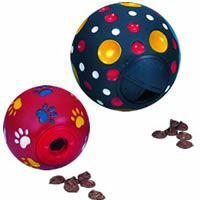 Buster Cubes and similar toys have various compartments inside that hold kibble. Your dog has to roll them around or manipulate them to free the kibble. The dog has to work and chew to get the treat out. If you hide these toys, the dog also gets to enjoy the hunt and seek for a reward. 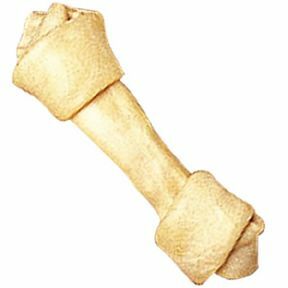 Sturdy chew toys such as hard-pressed rawhide are also popular. The Lonely Dog can be a digging dog. It’s no fun being left alone most of the day. Dogs are pack animals and crave company. If you work long hours or are away from home a lot consider hiring a professional dog walker. Ask around your neighbourhood as often teenagers will be grateful to earn a few dollars. Try not to leave your dog alone in the back yard for hours on end. Boredom will surely set in. Bring him inside and let him be part of the family.We recommend a product called home alone. Once you train your dog to play with it then they can play for hours trying to get rewards. The dog is digging to keep cool – this is a rare possibility. In hot weather many dogs will dig a cool hole to lie in. Ensure that your dog has a cool place to retreat to during the heat of the day or bring him inside. Make sure that he has plenty of water. Another idea is to supply him with a kiddies wading pool. Many dogs just love to splash and play in these and after cooling down will find no need to dig a hole. Dogs may dig under fences and gates in order to escape. They usually want to escape because they are bored and things look more interesting on the outside. If your dog is not spayed or neutered he/she may be trying to escape in order to mate. Spaying or neutering usually fixes this problem. Let him have a designated digging area. Some dogs such as terriers and hunting dogs have a very strong instinct to dig. Perhaps there is one part of your yard that you will permit digging. Alternatively you could make him a sand pit. The dog will have to be trained to dig in the designated area, not in the geraniums.The way to do this is buy a cheap sand pit from bunnnings and place his dinner (dry fod) or treats in it so he ahs to dig to find his dinner. Firstly it solves boredom and stimulates him and at the same time it teaches him to dig in one spot. It is better if you have a real garden it will work better than the bunnings sand pit is often not deep enough depending on the size of dog. Use dog poop! – I have heard this one many times. Place some of his own poop in the hole. For some reason, dogs will not dig where they have pooped. Be sure to use fresh poop. Sprinkle pepper or chili powder or spray deodorant in the spots where your dogs likes to dig. Then when he/she tries to dig/sniff it gets a big nose full of it, very discouraging! If you catch your dog in the act of digging reprimand him! BUT remember to then take him to the sand pit or give them a positive re-direction command so the experience ends up positive not negative.